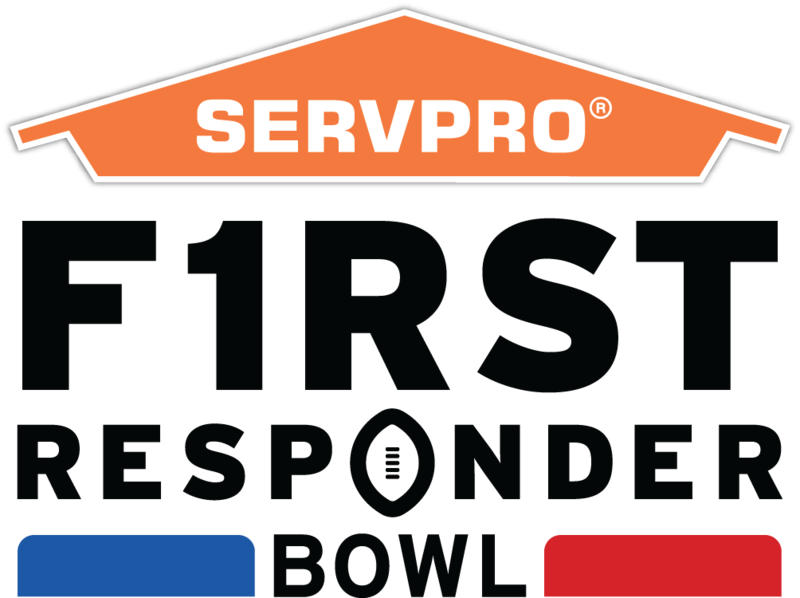 DALLAS – In a joint effort to honor the service and sacrifice of America's First Responders, the annual college football bowl game played at Cotton Bowl Stadium in Dallas, Texas has been renamed the SERVPRO First Responder Bowl. Kickoff for the newly christened SERVPRO First Responder Bowl is set for December 26 at 12:30 p.m. CT (1:30 p.m. ET) and will be televised by ESPN. The agreement between ESPN Events and SERVPRO was brokered by Denver-based Impression Sports & Entertainment. "We are truly grateful for all first responders' sacrifice and service," said Brant Ringler, Executive Director of the SERVPRO First Responder Bowl. "It is a tremendous privilege to honor these brave men and women who protect our communities 24/7/365. As this game continues to grow, so do our ties with first responders. Additionally, having a sponsor like SERVPRO who works along-side and supports these community heroes reinforces our goals of recognizing our first responders." "This is an exciting change, and we are humbled by the fact that an actual bowl game has been named exclusively for the first responders of this country," Dallas Fire-Rescue Fire Chief David Coatney said. "We are truly honored to have a bowl game here in Dallas named after the hard working men and women serving and protecting communities across this country. It always feels great to be recognized, and I know our officers and firefighters are touched by this overwhelming show of support, "said Dallas Police Chief U. Renee Hall.